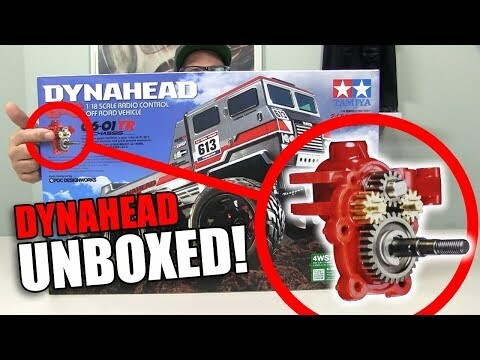 Wrench-spinners rejoice, Tamiya’s latest three models are all DIY kits, so you’ll have plenty of poly bags of parts to open and you can choose your own gear and paint–and your own body and tires, in the case of the Limited Edition DB01RRR 4WD buggy. It’s the latest race-spec iteration of the DB01 chassis, and it arrives as loaded as you expect of a car with three Rs in it’s name. 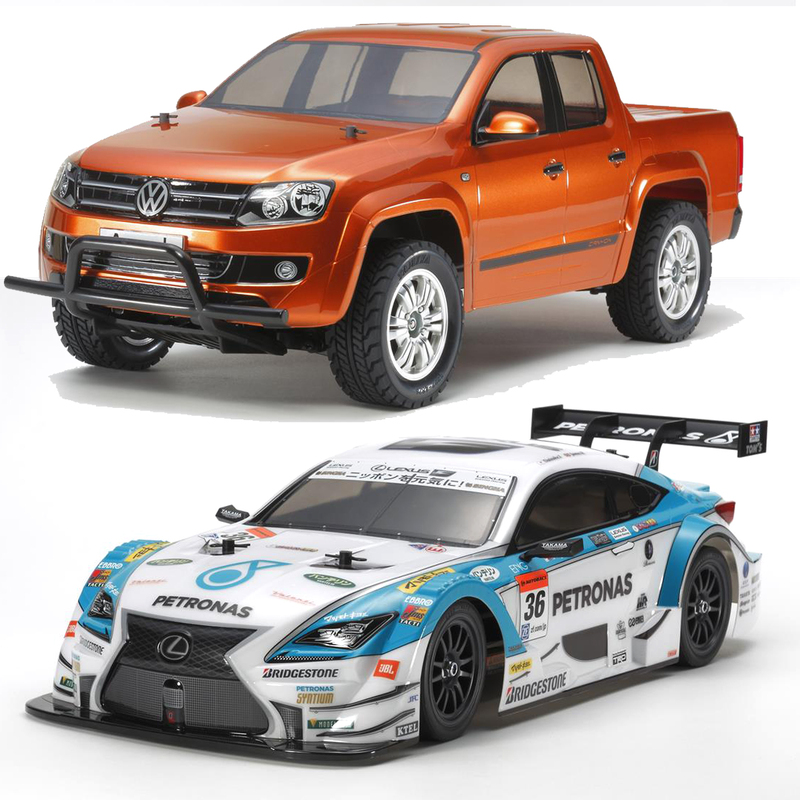 As for the sharp-looking Petronas Super GT racer and VW Amarok weird Euro truck, they’re TT-02 and CC-01 models, respectively. The Amarok is a mid-size pickup truck built by Volkswagen Commercial Vehicles (VWCV). The truck has been in production since 2010 and it has proven very versatile on both on-road and off-road applications. The life size subject features a modern pick-up truck body with double- and single-cab variants. 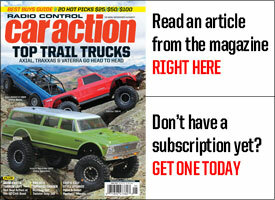 Suspension is provided by front McPherson struts and rear leaf springs. 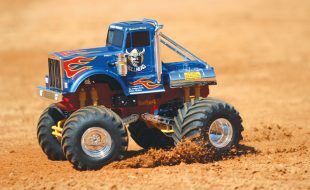 This radio control model is based upon a 3-liter engine version of the truck and it’s mounted on the Tamiya CC-01 (Cross Country) chassis platform. 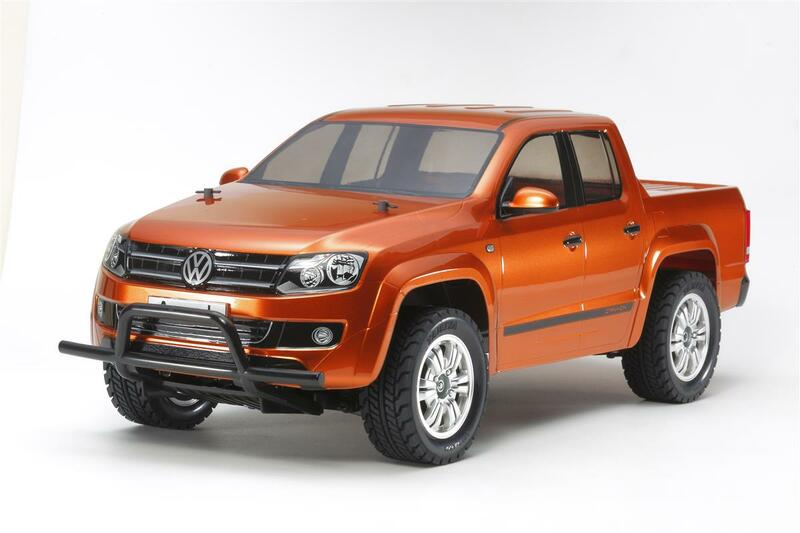 Includes polycarbonate body which accurately captures the road-going version of the Amarok. Markings are included to decorate the body. The CC-01 chassis features a full-time 4WD system and front double wishbone, rear 4-link rigid suspension equipped with 4 CVA oil dampers. 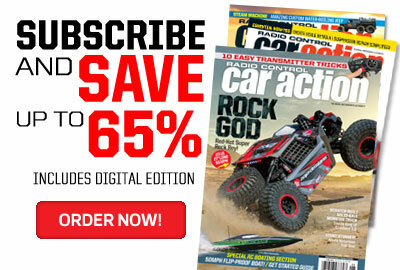 Includes Tamiya TBLE-02S ESC and brushed 540 motor. 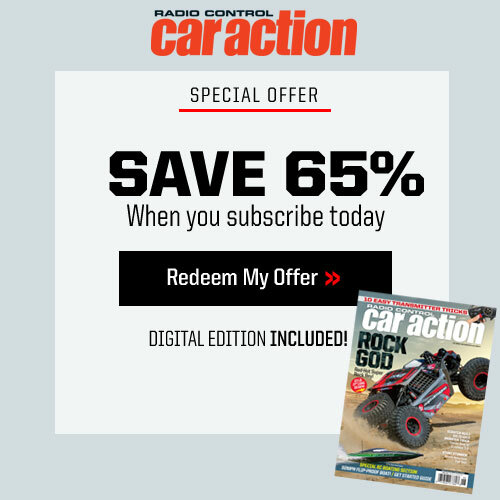 Requires 2-channel radio, Tamiya Polycarbonate Paint, 7.2v battery and charger. The Super GT series is a grand touring car racing series that began in 1993. The series is based in Japan and it is recognized by the FIA. 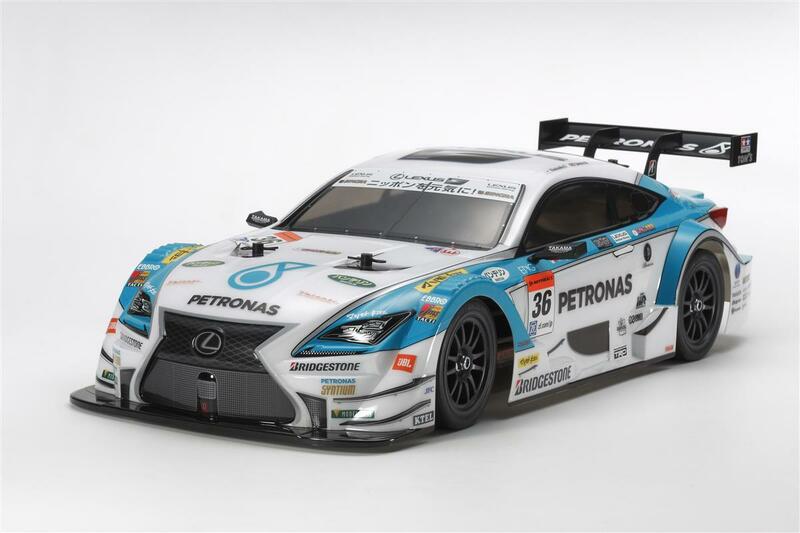 The Petronas sponsored TOM’S (Toyota’s tuning house) RC F is a white and green-liveried car entered in the GT500 class of the 2015 Super GT racing series. Harnessing the power from the 550hp-plus 2-liter inline-4 turbocharged engine, drivers Daisuke Ito and James Rossiter took 3rd place in Round 2 at the Fuji round of the series. 1/10 scale R/C model assembly kit. Wheelbase: 257mm. The body is made of durable polycarbonate. 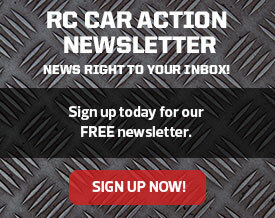 It accurately captures the aggressive form of the RC F.
The TT-02 is a highly versatile and easy-to-maintain chassis. Separate parts are included to recreate rear wing and door mirrors. Includes body marking stickers and masking stickers for use when painting the model. A wide range of option parts is available to tune and customize the TT-02 chassis. 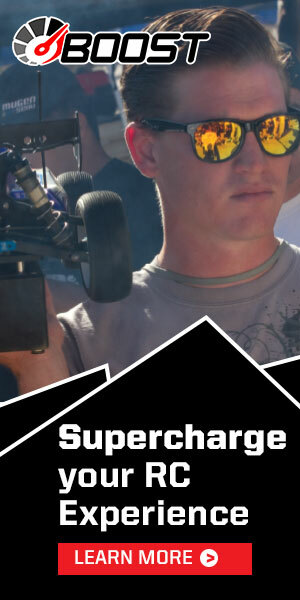 Includes Tamiya TBLM-02S ESC and Torque Tuned brushed motor. 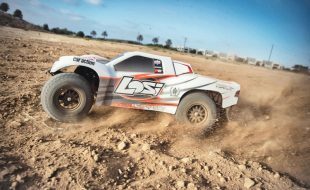 As the name suggests, the DB01RRR takes the DB-01RR (Item 84369) one step (and one ‘R’) further, with even more high-performance parts – including newly designed components – loaded into the 2 belt-driven 4WD buggy kit! The numerous aluminum parts in the kit come in a cool black anodized finish. 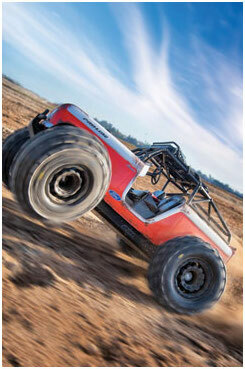 The popular DB01 off-road 4WD chassis received an update made with racing enthusiasts in mind. The limited edition chassis kit includes a number of Option Parts to give the chassis excellent performance in competition racing. 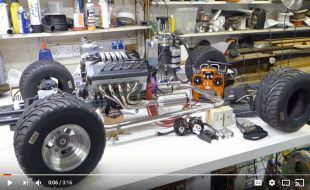 The chassis lower deck is compatible with square-shaped batteries, and the kit includes big bore aeration dampers for high-level off road driving. The front and rear of the model receive fluid filled and sealed gear differential units, reducing the need for constant maintenance and allowing longer running times. 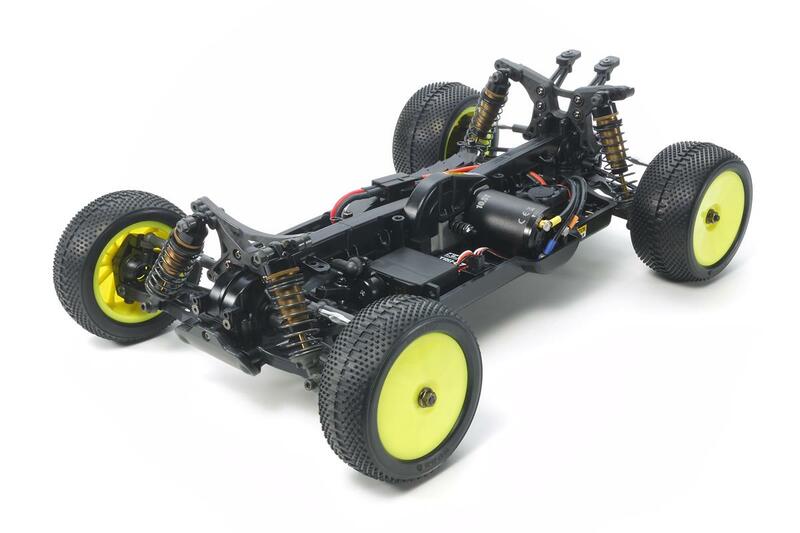 1/10 scale R/C off-road chassis assembly kit. 2-belt driven setup with gear diff units provides smooth transmission and excellent off-road performance. Fiber-glass reinforced nylon resin frame is compatible with square-shaped battery packs. Features newly-designed wheels, hex hubs, motor heat sink and suspension mounts. Front suspension mount gives a skid angle of 12˚ for superior handling of undulations. The rear mount provides a 3˚ toe-in setup – great for high-grip surfaces. Heat sink not only dissipates motor heat, it also helps prevent dust from entering the enclosed belt system. High-capacity big bore aeration dampers provide superior shock absorption. Requires body, tires, 2-channel radio with ESC, motor, 7.2V battery and charger to complete kit.